My involvement with the intellectually and developmentally disabled (IDD) population goes all the way back to high school and the "special education" class. My mother was a nurse and my father was always very compassionate toward those who were less fortunate. The two were major influences in my understanding that all of us have an obligation to help those who may face challenges at some point in their lives. Young people can sometimes be particularly cruel in treating those who are different with disdain and ridicule. Hurtful terms like "retard" were used regularly without much consideration of the long term harm they could cause. These were people who were easily taken advantage of and regularly seemed to find themselves the brunt of ill-humored jokes. It was against this backdrop that I found myself developing a desire to help this population as I found them to be friendly, kind and wanting to be involved with those around them. After I graduated from college, I ran across an organization in Ohio that cared for this population with both residential and day programs. My experiences with this organization were very uplifting and in total contrast to my experiences in high school. It was here that I also began to appreciate the role of the staff who provide services for these individuals. The compassion and dedication of the people who work in this sector is truly inspiring. In the late 1970s I made the decision to concentrate any giving I could afford in this sector. I started giving $20 a year to that same facility in Ohio and as I became more successful in business my annual donation grew. 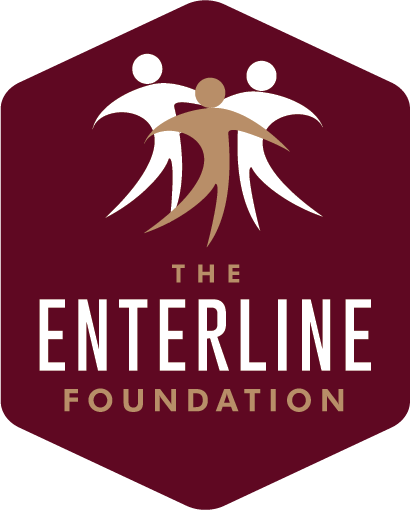 In 2001 I formalized my focus on the IDD sector by starting The Enterline Foundation - an organization dedicated to helping the full range of the IDD population lead meaningful and fulfilling lives. My interest spans all aspects of serving this population and the Foundation does this principally by providing financial assistance to organizations who provide direct services. Philosophically, I believe there are three key tenants in my mission to support the IDD sector. First, we need to freely share information and resources to improve the efficiency of service delivery and speed the adoption of best practices everywhere. Second, programs should be replicable, scalable and sustainable to provide continuing benefit to our population well into the future. Finally, we should support programs that offer the broadest benefit to the population at large and can be easily transported to other organizations. The IDD sector requires significant regulation and governmental oversight, which necessitates that organizations have some "business like" elements. Nonetheless, it is serving these wonderful individuals that is at the heart of what we do and why we do it. I have been profoundly touched by my work with the IDD population. I can only hope that you too will enjoy the opportunity to be moved directly be these special people and I am confident that if you have, you understand the gift we have all been given.